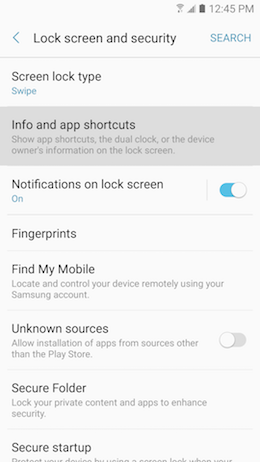 How can I pin apps on the lock screen of my Samsung Galaxy A5 2017 to quickly launch them? 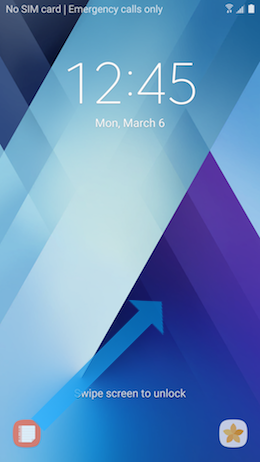 With the new version of Android (Marshmallow), the lock screen display two shortcuts to two apps that can be launched quickly directly from this screen. 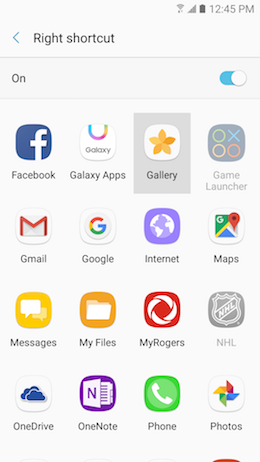 By default, on the Canadian devices, Phone and Camera are the apps displayed. But it is possible to modify this setting and display your two favorites apps on the locks screen. 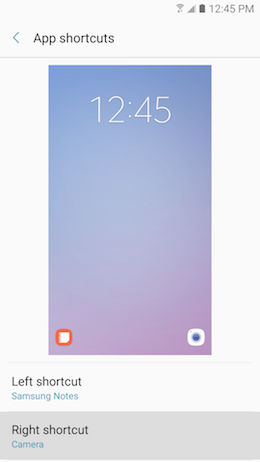 3 Swipe to and touch Lock screen and security. 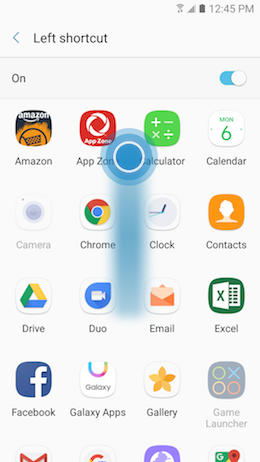 4 Touch Info and app shortcuts. 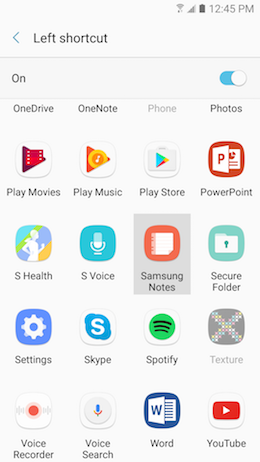 7 Swipe your finger up to access all available apps. 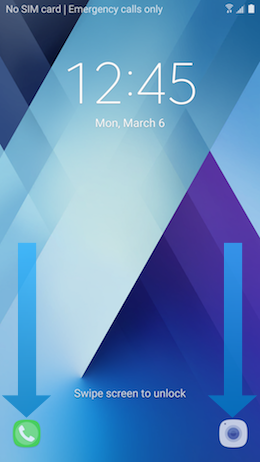 Then select one of the two apps you can add to the lock screen. 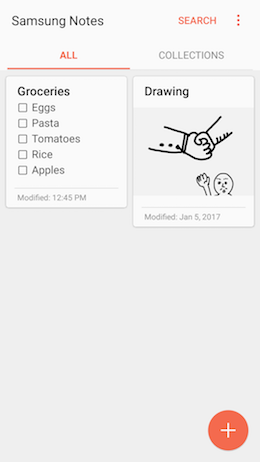 For this example, we choose Samsung Notes. 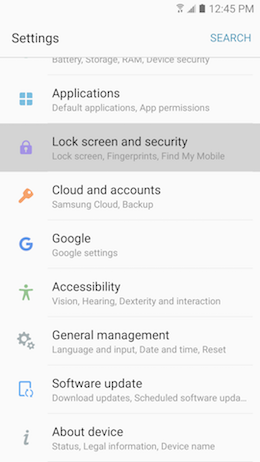 9 Swipe your finger from bottom to top to access all available apps. 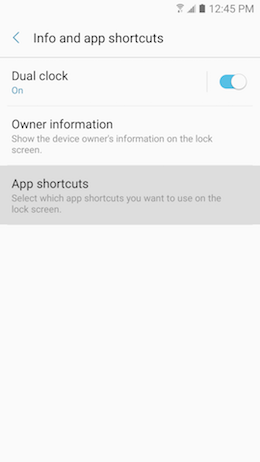 Then select the second app you can add to the lock screen. For this example, we choose Gallery. 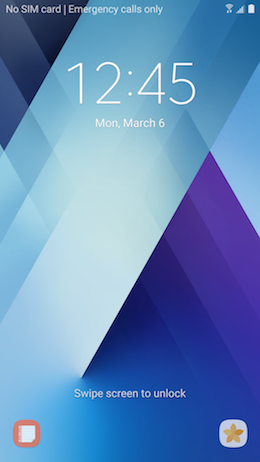 10 Press the Power button two times in a row to access the lock screen.